In this article we’ll be looking at my review of the John Varvatos Vintage mens cologne fragrance. Master perfumers who are connoisseur in making the best colognes get to be more creative and innovative which explains why there’s a massive list of choices. From classic to modern fragrances and light to strong fragrances, name it and you will have it to the point where it can already be a daunting task to choose. Your choice of scent will just depend on which fragrance suits your personal preference. And for men, most would go for a cologne that is strong, energetic, bold and spicy scent. Personally, I am not into this style of scent. So when I tried the John Varvatos Vintage Eau de Toilette Spray, I was quite hesitant. I know John Varvatos is remarkable in making quality colognes and I also own some of their best colognes but I wasn’t so sure if I would like this cologne. And to my surprise, it smells really good not to mention that is has a nice packaging as well. The John Varvatos Vintage Eau de Toilette Spray is a signature fragrance that is sensual, warm and energetic scent. Created to give you that rugged and strong type of fragrance, this cologne is the perfect embodiment of the masculinity of men. The cologne draws inspiration from the fashion collection John Varvatos as it brings out the classic and blend it with the modern times. The cologne developed by Rodrigo Flores-Roux is a scent that showcases the spicy notes of the chypre family with leathery notes. Composition: The moment the fragrance opens up, I could already smell the spicy notes and energetic scent of this cologne which is not too overpowering but not too light either. It is masculine, sensual and very appealing, the kind of fragrance that has this rugged appeal and yet still has this classic side. The nice blend of elements like quince paste, rhubarb and juniper berries give this cologne a big boost. And since it uses tobacco and suede, it has this smooth and sensual dry down. Top notes include Albanian juniper berries, India Cubeb berries, cinnamon tree leaves, white lavender, santolina, rhubarb and quince paste. Middle notes include Yugoslavian oak moss, pure patchouli and jasmine templar.For the base notes, it uses ashwood, Madras wood, Turkish tobacco, tonka beans and suede. 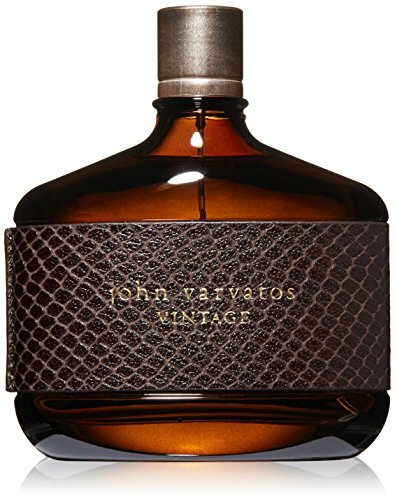 Best Use: The John Varvatos Vintage Eau de Toilette Spray is a cologne that will make you feel good and also smell good which makes it a great choice for any occasion. In my case, I would prefer to wear this scent for evening wear or for special events. But then again, it is just me. In terms of its composition and quality of scent, it is the kind of fragrance that is elegant, spicy, energetic and has this manly scent. Longevity: When it comes to the longevity, opinions vary. So far after using this cologne while I was running a lot of errands at work, the scent was still there after several hours. I can just conclude that it has a good lasting power compared to other fragrances that I have tried before. From the elegant and classic packaging to the over-all scent quality, you cannot find anything bad about this cologne. It has this really nice packaging which also makes it a great gift choice. In terms of composition, it will exceed your expectation. The scent is very striking, sophisticated, energetic and bris. And although it infuses the elegance of having a classic scent, it does not smell to sweet or the kind of scent that other people won’t appreciate. In fact, when you wear this cologne, you just feel good about yourself simply because you know that you also smell great. I may not be into spicy and strong scents but I enjoyed this one.